Are these the most misleading public information notice ever? 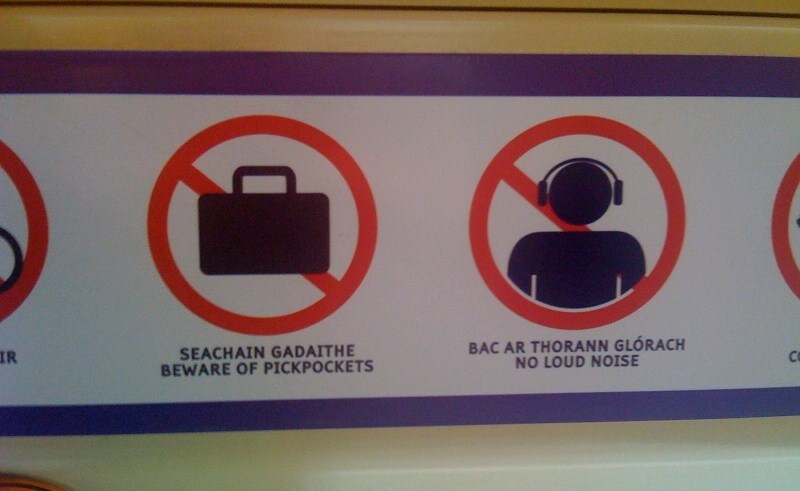 Spotted on the Luas today. Non-English speaker has got to be thinking, right, no luggage on board and all loud music must be amplified. In a similar vein, see also here and here.